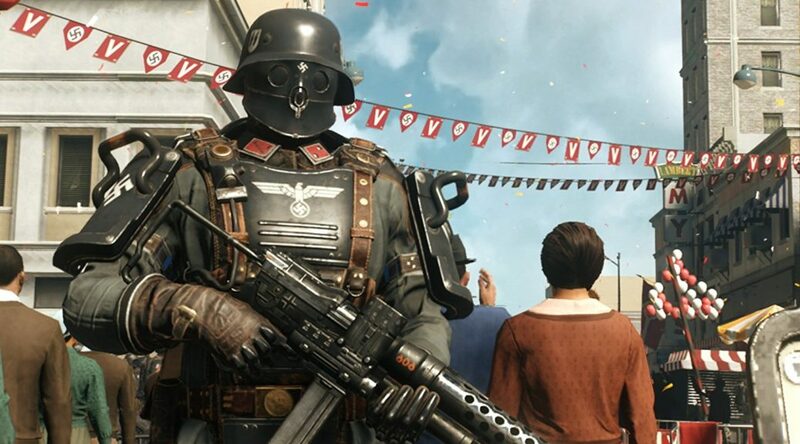 The end credits for the Nintendo Switch version of Wolfenstein II: The New Colossus has credited several employees working at Nintendo of America and Nintendo of Europe. Damon Baker, head of partner management at Nintendo of America, was the most prominent figure among the Nintendo employees who were credited for Wolfenstein II. Nintendo was most likely involved in helping Bethesda and Panic Button market the game and provide technical support. Also credited exclusively in the Switch version are employees from Panic Button, which helped to port the game to Nintendo Switch.